Caring for someone with lupus can be difficult. Any person with the affliction is on a rollercoaster of flare-ups and uncertainty of what it will bring next. As a caregiver, there will be times when you need to make sacrifices, because your loved one with lupus will have needs that have to be met above all else. However, you need to be sure your needs are being met as well so you do not burn out. Learning about the disease arms you with knowledge so you can better interact with health professionals — you will ask the right questions when talking with the doctor. When researching online, be sure to seek out credible sources. It is not a sign of weakness to ask for help or accept help offered. Accepting help is as much for your own good as it is for your loved one with lupus. Help can come from friends and family and health professionals, or our community may have support groups and other helpful resources. Even if caring for your loved one takes up a lot of your time, you still need to make time to keep in touch with friends and enjoy the things that make you happy. If you can’t meet up with people, call or email them to catch up. You need to have an outlet. It is important to recognize the early warning signs of a flare, which can be different in each person with lupus. They include increased joint pain, elevated body temperature, hair thinning, and increased fatigue. This list will help ensure they receive the best medical assistance as soon as possible when a bad flare happens. It is best to be prepared for the unexpected, so you won’t be fumbling around for needed information at the time it is needed. It is so important for you as a caregiver do what you can to keep yourself healthy and mentally refreshed as much as possible. It doesn’t do your loved one any good if you lose focus and are not up to par in caring for him or her. If you are living with someone with lupus, you should realize it requires endless patience, support, love and understanding — and absolutely no judgement. Basically me. My daughter is always here for me though. I was just diagnosed two weeks ago and I have 4 bald spots on my head.....will it grow back? Try Biotin. You can buy it at the store ( I got it at walmart). I lost a lot of hair, no actual bald spots but very sparse areas and mine grew back. Thank you for the nice info! Is Biotin a cream or liquid? It's a supplement unless there's another form I'm not familiar with. Maybe the gal that suggested it knows more or you can google it. Maybe not physically Holly Tab but emotionally losing your hair can be hard for some. I teach 6th graders sometimes they say hurtful things. My father died from SLE. I have it. My mother and I took care of him....mostly her. There is no one for me to lean on now. 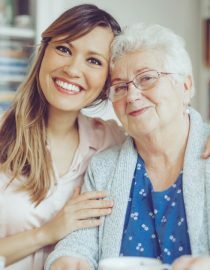 It is a frightening reality for a potential caregiver. Praying for you and sorry for your loss.